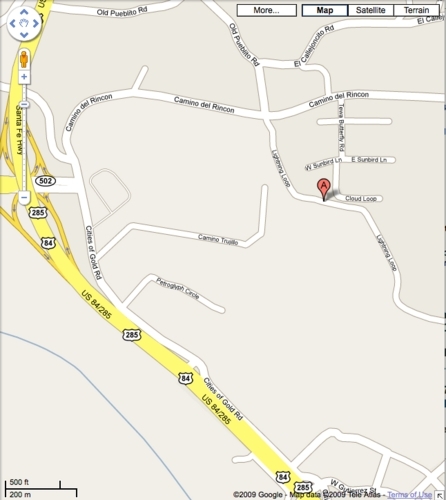 Here are the directions to the Pojoaque Wellness Center. 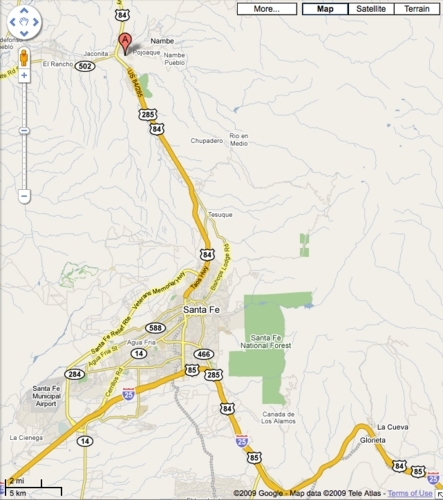 From the intersection of Cerrillos Rd and St. Francis Drive in Santa Fe, go north on St. Francis Drive ( Hiwy 84/285 ) for 16.2 miles and take the 502 exit. Stay to the right for approx 1/8 miles to a stop sign facing the Cities of Gold Casino. Take a left onto Camino del Rincon, heading east, and stay on this road for approx 1 mile to the intersection of Lightning Loop Rd. You will be able to see the Wellness Center on your right (A).